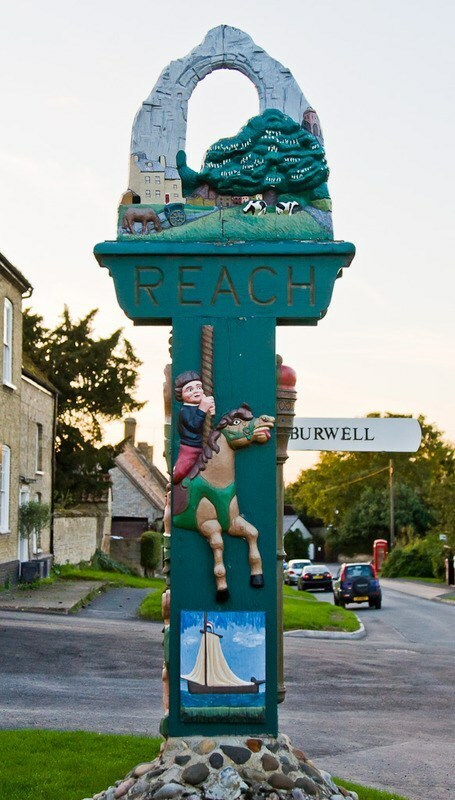 Reach, or as it was previously known Reche, has been inhabited for over 2,000 years. It derived its name and effectively its existence as a settlement from that strip (rece) of land, used by the 12th century for loading merchandise. The village sign shows the arch of the ruins of the Chapel of Saint Etheldreda, which you will see while completing the cache. The sign also shows a carousel horse to represent the Reach Fair. Near to the village sign, on a building, is a plaque to commemorate the 800th anniversary of the Royal Charter being granted by King John to hold the annual fair. Church - At the back of the church near to the ruins of the Chapel of St Etheldreda is a bench = A??? Please hide well after replacing! Abg dhvgr ba gur tebhaq.